Faith in the Functional: Is your training benefiting your body or simply ruining it? Most people nowadays understand the importance of integrating exercise into their daily lives. The positive psychological and physiological effects of working out regularly have been extensively documented by countless studies. Yet, the realm of fitness remains a moving target. In nutrition, there are various competing philosophies – each claiming to present the right path to health (similar to how each religious group claims ownership of the sole path to God.) The same applies to the fitness domain. You have, for example, those who believe that weightlifting or bodybuilding is the best way to train. And there are those who have been religiously following the CrossFit approach. Some like to work on their endurance (marathoners) while others adopt the high-intensity interval training method (sprinters.) But if I have learned anything throughout the years, it is simply this: Never follow a single doctrine to a point where you become a slave to it. From every philosophy, you need to select the parts that make sense to you while discarding the elements that don’t feel right or simply fail under scientific scrutiny. And so here are scientific facts. Training for endurance (such as jogging over long distances or doing low intensity cardio classes for long durations) could have a detrimental impact on your physiology. Heart and lungs shrink in size as a result, and it is common to see marathoners collapsing of a heart attack because of endurance training. Bodybuilding, in which training is solely intended for increased muscle growth, creates severe joint and muscular imbalances. Just look at how bodybuilders walk; their movements resemble that of a poorly lubricated robot. Over time, the biomechanics become utterly disrupted and bodybuilders wind up with a dysfunctional physique. 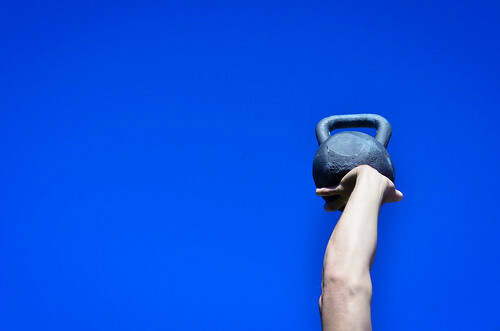 Weightlifters train in order to lift heavier weights during competition. Again, their body becomes irreversibly damaged and most of the exercises they perform have no application in real life. CrossFit – as a training doctrine – is probably the undisputed champion in terms of causing severe and numerous injuries. So by now you must be wondering what could possibly be the best form of training. To answer this question, first you need to define what you wish to derive from working out. Personally, I believe that exercising should enhance the following aspects: Health, energy and functionality. Let us start with the element of health. Training regularly should improve biomarkers in the body such as triglycerides, cholesterol ratios, blood sugar, CRP (an inflammation marker) and others. If the way you train does not improve these variables and boost the functioning of your organs (like the lungs and the heart muscle) then it makes no sense to continue working out in that fashion. And if the way you train does not affect your energy levels favorably – by stimulating your anabolic/anti-aging hormones and improving mitochondrial performance in the cells – then there is no point in going to the gym and sweating your heart out! Finally yet importantly, training should address your biomechanics – work on improving your body’s functionality and range of motion while avoiding the possibility of sustaining injuries (in fact, proper training should shield your body against injuries.) You see, the human body was designed to move through different planes of motion and in specific ways. It is an evolutionary aspect that took millions of years to develop in order to improve the survival of our species. But unfortunately, several training methodologies do not consider this simple yet crucial element. Functional forms of training are paramount and should be the foundation of any exercise regimen designed to build a healthy, strong and flexible physique. In recent years, I have been seeking figures who have delved deep into the realm of functional training and biomechanics. And the one who impressed me the most has to be Naudi Aguilar – creator of Functional Patterns (FP). This man has surely gone where no one has gone before in terms of understanding how the human body was originally designed to move. Consequently, FP as a system seeks to train the body in the right manner – every single exercise is designed to strengthen and help the body move the way it was originally intended to. And so while other training systems are all about increasing muscle size, burning body-fat or simply teaching acrobatic exercises to impress others, FP focuses intently on posture, flexibility and proper rotation of the torso – without overlooking the element of increasing strength. I have learned a lot from Functional Patterns, although this education has not been an official one (it has been acquired mainly through YouTube clips posted by Naudi who is very prolific in this regard.) But soon I will start training with my friend and Functional Patterns master trainer John Haddad – owner of Level 8 Gym in Beirut (john.functionalpatterns.com). And so, you will be hearing more about my training the FP style shortly. I would also like to point out that once the right exercises are performed in the proper “functional” manner, you could then apply other training philosophies to the equation. For me, high intensity interval training (HIIT) completes the picture in terms of physiologically bolstering the body. Research has shown that this form of training improves various biomarkers and enhances overall wellbeing, in addition to boosting energy, metabolism and body-fat burn capabilities. I personally enjoy doing Tabata, which is an intense form of HIIT whereby I do 20 seconds of high impact exertion followed by 10 seconds of rest – repeated over eight sets. One round equals eight sets (completed in only four minutes.) But make no mistake; those four minutes are excruciating! I do three rounds and so my workout is over in 18 minutes max. Training should be part of everyone’s lifestyle, and it has to be adapted to meet each person’s needs and capabilities. But what should never change is the functional element. Any person will benefit tremendously from training the functional way, while failing to do so will have dire consequences – on both the short and long run.